Love is a beautiful thing and being in love is a scared thing that can make you happy for a life time. The union between two people is what bonds us together, it is why every human being is connected to another. When one decides to walk down the aisle with a choosen partner, it is with the belief that you are ready to stay with this person no matter what, and that's why this young couple decided to begin a life together. 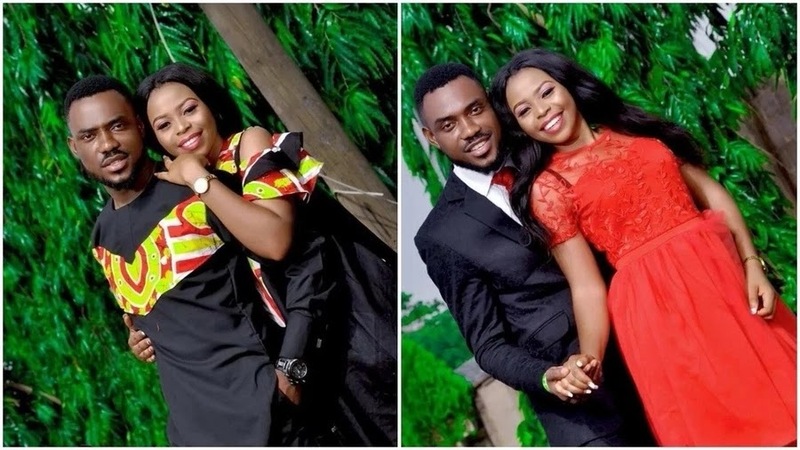 Evans Kingsley Chukwudi decided that he has met a life partner in his bride-to-be, so he popped the question and the lady who knew she would stand by Chukwudi no matter what said yes. It is almost mandatory for a couple planning to say their vows to release pre-wedding photos days or weeks to the big day. Chukwudi and his bride-to-be took the step and shared beautiful photos on social media. The pre-wedding photos showed that the love between the couple is on that has no limit. They are set to walk down the aisle on Saturday, May 19. Groom-to-be Chukwudi took to Facebook to share the pre-wedding photos in a post inviting guests to witness his union to his bride-to-be.